Meetings and events, while effective indoors, transform into invigorating experiences when not enclosed by four walls and cubicles. Jacksonville offers a host of green spaces that naturally motivate. Jacksonville’s unique urban parkland offers informal meeting places to get fresh perspectives out in the fresh air. There’s Friendship Fountain, which has one of the largest self-contained fountains in the world, and Treaty Oak Park, which is home to the 250-plus-year-old oak tree, an octopus-like natural wonder standing over 70 feet tall. By incorporating Jacksonville’s natural beauty into your events, you’re utilizing incredible outdoor space that’s shared yet serene, where colleagues won’t be bored and will thrive. Originally a public square, Hemming Park is the oldest public park in Jacksonville. Its location at the crossroads of business and culture makes it the ideal destination to host a motivating meeting or elegant event. Hemming Park has hosted events ranging from a food festivals to the Jacksonville Downtown Artwalk. The park has three zones available for rental: Café Corner, which includes a 14-by-14-foot stage, chairs, tables and use of a food vendor; Reading Room and Fountain Grove, which features a 13-by-13-foot stage, park chairs and tables; and Main Stage and Terrace, which boasts a 28-by-33-foot stage, with optional park tables, chairs and 100 white folding chairs available upon request. Additionally, the park may also be rented as a whole. 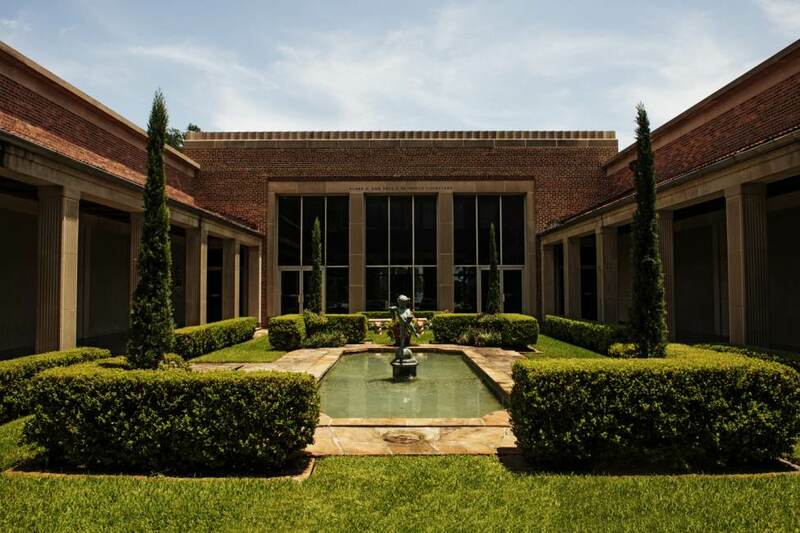 The Cummer Museum of Art & Gardens offers an elegant spin on outdoor corporate events. The Upper and Lower Tiers of the Gardens feature a panoramic view and view of the Jacksonville skyline, respectively. The Upper Tier is ideal for lunch, dinner or cocktails and accommodates between 100 and 150 people. The Lower Tier is an impressive space for enjoying cocktails or conducting a presentation and can accommodate up to 250 people. Catering is provided by the museum’s exclusive caterer, the Chef's Garden, which operates the Cummer Café and manages the onsite kitchen. Mark Grandin Events can work in conjunction to design the lighting and ambience to truly accent any event. The 80-acre Jacksonville Equestrian Center is the venue for getting teams out of their chairs and onto a horse. With two 36,000-square-foot show rings, an 80,000-square-foot rebound turf arena, patio and terrace areas, trails for hiking, biking and horseback riding, softball fields, picnic pavilions and an 18-hole golf course, this place is equipped to feature a wide variety of events. From concerts to company picnics to golf classics, the team at the Jacksonville Equestrian Center will work with organizations to accommodate all needs. Catering for between 500 and 1,000 diners is provided through Anthony’s Gourmet Catering. Perhaps a wildlife adventure at the Jacksonville Zoo and Gardens is just what the company needs, where the open air of Shaba Terrace is the perfect hybrid of outdoors and in. Accommodating up to 400 people, the large open-air terrace features two stairwells, an elevator and private restrooms to go along with a thatched roof with lighting and overhead fans (or heaters), a microphone and a sound system that make it the ideal environment for casual or formal corporate and private events. Guests can mingle with giraffes at the Giraffe Overlook and mosey through the Savanna Blooms Garden with cocktails and hors d’oeuvres, and even feed some of the animals. The peaceful Asian Bamboo Gardens is the zoo’s newest garden space, located along the banks of the Trout River, and accommodates a range of Asian styles and traditions. Accommodating groups between 50 and 250 people, the Zen splendor of the Asian Bamboo Gardens offers a Weeping Tree Bridge that connects the yin and yang terraces, and is another really cool spot for cocktails and concessions. Feeling wild? The Land of the Tiger and the Range of the Jaguar offer surreal backdrops of tigers and jaguars roaming in the background, with howler monkeys and giant anteaters on display as well, with an air-conditioned viewing building. Palm trees, purple volcano plants and tropical foliage adorn the Land of the Tiger, while a replica Mayan stone temple and an illuminated three-tiered water fountain make the Range of the Jaguar a stunning landscape for after-hour affairs. There aren’t many cities that offer the luxury of open green space complementary to a pristine Atlantic waterfront and vibrant downtown like Jacksonville. A city so dynamic in natural infrastructure, Jax offers a change of scenery at every street corner, a constant reminder that spending time outside the office among the elements is precisely what the doctor ordered. All you have to do is take a look around to enjoy the fruits of your labor.